Wayanad is a tropical paradise in the state of Kerala. If any place in Kerala deserves the signature tagline of ‘God’s Own Country’, it would certainly be this district that is tucked away in the mountains of the Western Ghats. 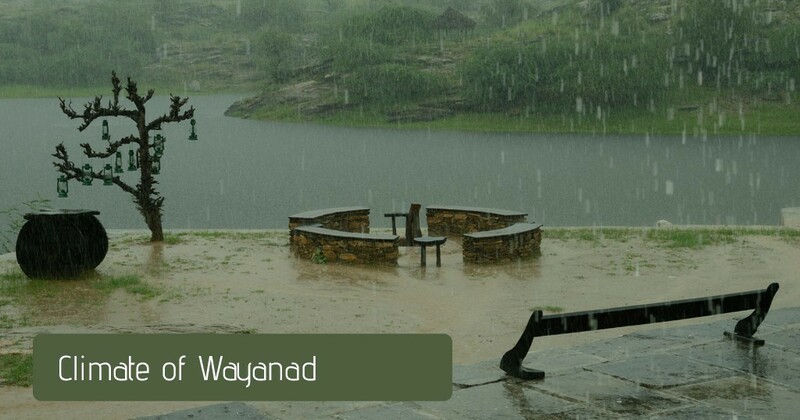 Located in a place that abounds in natural and scenic beauty, Wayanad has become synonymous with the idea of natural beauty and everything that has to do with the wilderness. Located in the heart of the Western Ghats, the place is blessed with plenty of places that one would truly be mesmerized by, whether it’s the beautiful and natural hotspots, historical attractions or anything else. Regardless, there is always a time for everything in life and that applies equally well even to tourist areas. When it comes to Wayanad, this is something that definitely applies as it would for any other tourist destination, be it in India or any other place in the world. While much of the year happens to be a good time to vacation in this place, some are better than others in terms of the human experience that is possible while here. Wayanad happens to be located in a place right in the middle of the Western Ghats mountain range. In addition to this, the geographical location of Wayanad is entirely tropical and situated very close to the Equator, as is the rest of Kerala. The natural vegetation of Wayanad is largely rainforest, with the occasional patches of tropical grasslands and semi-grasslands. Due to these factors, the climate that one can expect when visiting the state of Wayanad is almost entirely tropical in nature, with very little other climatic factors being apparent. The entire place happens to have a tropical climate, characterized by a warmth as well as humidity. Being a rainforest environment, the place can have abundant rainfall almost all around the year. This rainfall however is largely during the monsoon and concentrated in and around the months of July. Last but not the least, Wayanad is very hot during the summers due to the tropical nature of the region. As a result, the temperatures can prove to be uncomfortable in some of the regions in Wayanad; attention should be given here to the term ‘some of the regions’ because many of the areas in Wayanad are located in very high altitudes which allows them to remain cool and even cold during the summers. In general, all regions that are high up in the hills can be expected to have a pleasant or at least a cool climate. The ideal time to visit Wayanad will largely depend upon the nature of the visit more than anything else. For those who are looking forward to great monsoon weather, the best time would be during July or any month that follows or precedes it. It is during this time of the year that much of the rains are concentrated. Monsoon rains hit this part of Kerala with fairly heavy showers during these months more than any other, making it the ideal time for one to experience the rainy season in all its glory. If in case one is looking forward to a spring-like weather where there is an abundant amount of greenery and lots of flowering, the best time would be a few months before the monsoon, when the flowers are blooming. It should however be added that ‘spring’ as a weather largely applies to the temperate regions where the trees and other natural vegetation ‘come to life’ after the long and cold winters. Tropical regions on the other hand, happen to be evergreen, meaning that one can find greenery abundant all throughout the year; the flowering however, is more or less concentrated around the summer months. This would be approximately around the months of May. For any other reason such as tourism, trekking or camping, one can choose to visit after the monsoon showers get over, which would be a few months after July. This is because the place is more or less free from the intensity of rains that is a characteristic feature of the Wayanad district during other times of the year. In addition to this, the place is relatively a lot cooler than before the monsoon, when the summers can prove to be quite hot. This would be approximately between the months of September and January. In some areas, this could perhaps be extended a couple of months as well, particularly across the hilly stretches where the temperature is relatively cooler all throughout the year. Furthermore, it should be understood that there are several different hilly regions in Wayanad which have a cool climate almost all year around. If one can visit these regions during the months that don’t have any monsoon rains, there will be no climate issues to worry about. This is because places that are higher up in altitude tend to be cooler than the surrounding areas, even if the place happens to be in the tropics itself. This would be more or less between September and April. Last but certainly not the least, if one is looking forward to a visit without having to deal with the crowds of tourists, it is best that one visits Wayanad just before or after the monsoons. This is due to the fact that most of the tourists who visit the district of Kerala do so sometime around winter more than any other time of the year. This also takes into consideration the issue of heat which needs to be avoided by any tourist who desires a comfortable and memorable journey. In all, Wayanad makes for a truly amazing tropical getaway for any tourist who might want to spend their time here. But this is largely dependent on the time of the visit, since a number of different time-related factors play an important role in influencing one’s experience of this unique location. If done right, the entire trip should be something that is truly amazing while at the same time ensuring that one is able to make the most out of every possible moment.